$10 pre-sale / $15 at the door. 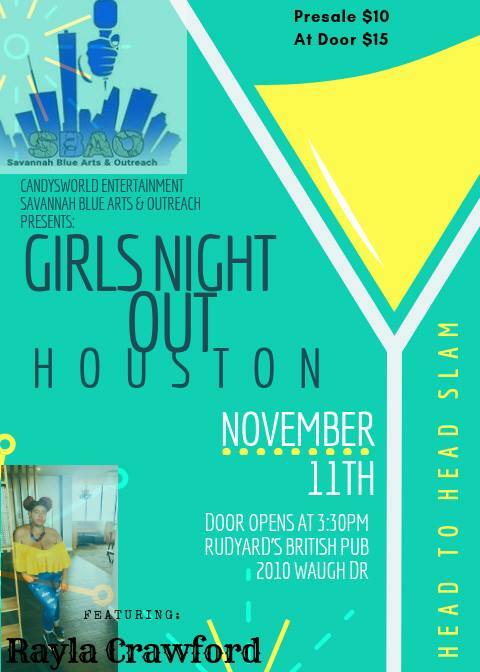 Girls Night Out Houston = Head to Head All Women Slam! An exhilarating night of women empowerment in poetry.